The jackPod system is Wymac ‘s latest promotional platform and it’s changing the way venue’s engage players via promotion. Blending the popularity and competitive theatre of Video Challenge with Centre stage celebration of Colossus, jackPod provides the venue ultimate flexibility and the player ultimate entertainment. What makes jackPod unique ? jackPod provides an innovative and flexible platform for venues to deliver multiple player engagement activities with targeted rewards. 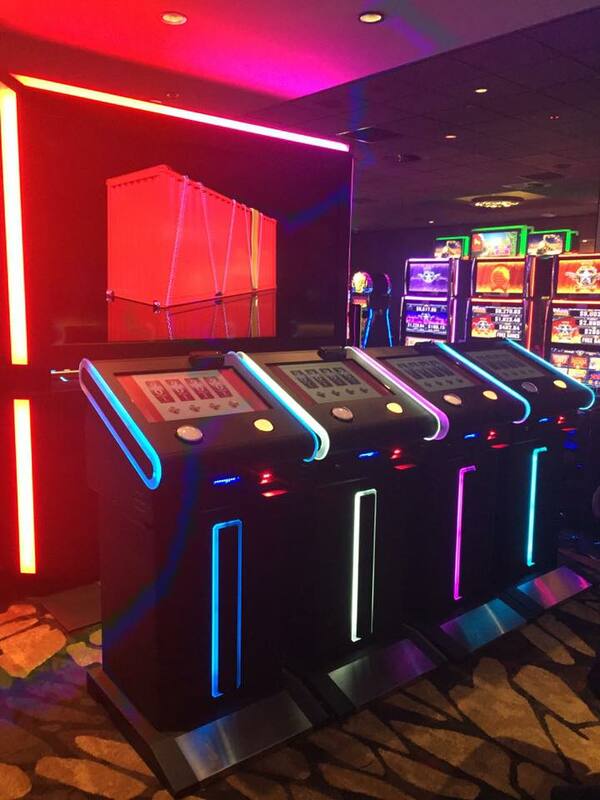 The terminals do not resemble gaming machines, allowing wider venue execution and LOUDER promotional support. Game titles include games of chance with a classic “Game Show” feel, games of skill for arcade styled interactive engagement and spinning reel games that will have the player wanting more. Initial titles include What’s in the Box, Roll For Riches, Banana Rumble, Birthday Bonus, Qubed and more are on the way. Custom games are also available. Wymac’s in house development studio can bring together your promotional vision and help take it from concept to main floor execution. Jackpot reveal – Pre-determined prize reveal – VMS dictates prize and pass’s to jackPod terminal via card swipe for “game play” and prize reveal. Up to 5 terminals can operate in single mode throughout the venue via network connection to a Master jackPod terminal. Jackpot reveal: Pre-determined Group reveals – VMS dictates prize and pass’s to jackPod terminal via card swipe for “competitive game play” and prize reveals.